At Laing+Simmons Liverpool, we believe local needs are best understood by local people, and Joanne Sidoti certainly matches the profile. 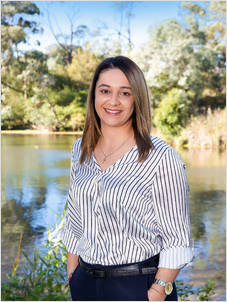 More than just living locally, Joanne has worked for close to a decade in real estate in Liverpool and its surrounds. She has a wealth of sales, property management and administration experience and knows exactly what it takes to deliver personal service that customers not only remember, but recommend. There are numerous non-negotiables in Joanne’s approach. She recognises there’s no substitute for open and prompt communication. Working with Joanne means being informed at all times. Absolute attention to detail is crucial, and she has no time for cutting corners. Strict time management and organisational skills mean a deadline is never missed. However most importantly, underpinning Joanne’s approach is her understanding that property is about people. Real estate decisions are big ones, emotions can run high, and stress is a factor for many people. Sometimes an ear to lend is the best way Joanne can put her customers’ minds at ease. A true people’s person, Joanne would love to make your acquaintance and can be contacted on 9602 0055 or at joanne.sidoti@lsre.com.au.